GIVE THEM: The gift of language! Need an innovative gift for a newborn this year? Give the gift of language with the development system, “Your Baby Can Read!” Reading babies? Indeed. Dr. Robert Titzer, renowned professor and researcher on infant development, created a multi-sensory approach to education enabling parents to teach reading to babies. 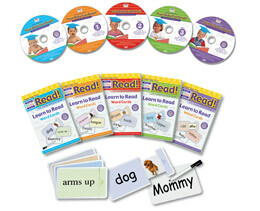 With flashcards, books, CDs and DVDs, parents can jump start their child’s education long before kindergarten starts. Once babies begin recognizing symbols and words, their vocabulary expands exponentially, advancing literacy development. Dr. Titzer has demonstrated the success of his program with thousands of reading babies including the exceptional academic achievements of his own grown children. Just one of hundreds of Tango Diva selected gift ideas for the travelers in your life!